This is Dduhgk bohgk gkee (떡복기). 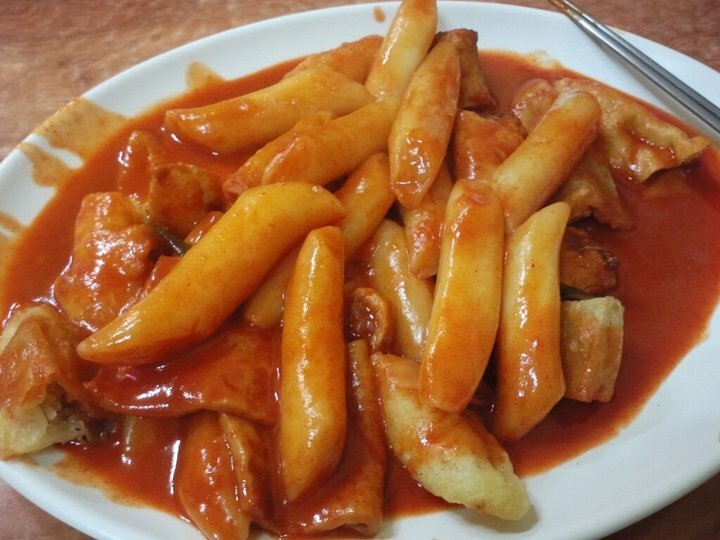 Alternative spellings include tteokbokki, ddeobokki, and ddukbbokki. This dish is lovely. I enjoyed it just around the corner from Seoul University in a small restaurant.